Emergence, the annual convening of the EAP network, provides a collaborative platform for Bay Area arts & culture workers to connect, share ideas, and elevate their work and voices. Emerging Arts Professionals San Francisco Bay Area presents Emergence 2018: Reclaim the Arts, Rebalance the Work. This year, we explore the importance and benefits of reconnecting the essential practices in our lives: our art and our work. Thank you to everyone who joined us for our 8th annual convening! If you attended, please take a moment to fill out this short survey to help us build an even stronger event! What does it mean for the arts and culture field if arts workers are removed from the creation or experience of art? What knowledge can we access when we recenter culture? How can we actively prioritize creative experience over static mechanisms? How do we spend each day remembering why we do this work? Join us for a day of mental and physical exploration of tools we can use, and models we can look to, for bringing art and work together at Emergence 2018: Reclaim the Art, Rebalance the Work — presented by Emerging Arts Professionals San Francisco/Bay Area (EAP) and Root Division. Separate registration, or sign up for the Full-Conference Bundle! Emergence, the annual convening of the EAP network, provides a collaborative platform for Bay Area arts & culture workers to connect, share ideas, and elevate their work and voices. EAP is committed to curating Emergence as a participatory experience that encourages deep connections and inquiries that are omnidirectional through generations, career levels, business models, and disciplines. Our goal is for you to walk away with actionable next steps, as well as tangible tools and a strengthened network to support your work. KEYNOTES: Queer multidisciplinary social practice artist/performer, director, arts consultant and coach, Mx. Beatrice Thomas: if you can combine magic with equity, you can certainly combine art with work. SESSIONS: Join roundtables on institutional support of creative practice, indigenous values, and integrated arts; unpack “professionalism”, crossover skills, and and our culture of “No!”; and work collaboratively to build an Art/Work Balance Manifesto, a creative archive, and a vision of a better arts future! Light breakfast, snacks, and refreshments will be provided and a no-host lunch will be available on-site. FAMILY ROOM & SELF-CARE SALON: For all you caregivers, we’ll have a space set aside for family to hang out with snacks and activities. We’ll also have a space for all attendees to create with your hands, rest your mind, and nourish your body. Plus, find out what this year’s EAP Fellows have been learning and creating, experience tactile note-taking, catch your breath in the Self-Care Salon… and so much more! 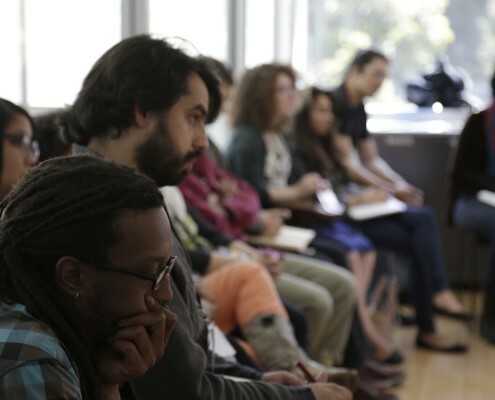 For the first time, EAP is expanding Emergence to include Pre-Conference programming: events and workshops that give more opportunities to connect and to dig deep into specific topics our networks and circles have been grappling with over the last year. Lots more info to come, so check back soon! We’re looking for volunteers! Get free entry & help support this wonderful event? Volunteer here. By attending the event, you agree that your image and voice may be recorded and used by EAP for documentation and promotion and to share on all platforms. The event venue is wheelchair accessible. Creating an event and space that is accessible to everyone is a priority. If you have questions or accessibility requests, please email rhiannon@emergingsf.org. We will do our very best to meet your needs. Please practice awareness and help us make this event healthy to all by arriving fragrance free. Root Division is located 2 blocks from San Francisco’s Civic Center BART station, is across the street from the MUNI 14 line, and is close to many other public transportation lines. There are several public fee parking lots near 7th and Mission and at 5th and Mission, across from the Westfield Shopping Center. Ample metered spaces are available on Mission and 7th streets. This collection will feed into an archive of this year’s gathering that will be shared as a record and resource for our network. I am Ohlone & Chumash – California Native Woman. I am a creative artist ever inspired by nature and the natural world, Catalyst of decolonizing conversations. 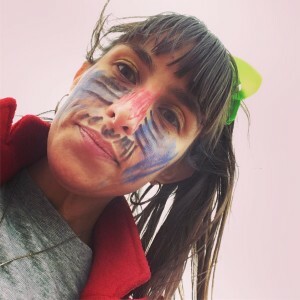 Contemp/Traditional Artist, Native Representative, Consultant, Advocate of Truth in History, Multimedia Artist, “Coyote”, T.E.K educator, and much more – Let’s Talk. Angela ‘Mictlanxochitl’ Anderson is a artist guide, integral educator, and psychopomp. She serves as a council member of Danza de la Huitzlimetzli and Danza de Luna Chalchixiumeztli and is acknowledged as an initiated ‘Abuela’ in the lineage of Danza de la Luna, a transterritorial Mexica ceremonial practice. The artist she collaborates with represent a process of seeking to relinquish the possibilities of a tethered modernity. Arts practice from a spiritual lens can represent manifestations of this inquiry and serve as testimony challenging dominant epistemologies. Musician, composer and producer contributing to the Bay Area music scene since 2000, Rachel is the principal songwriter of the band Dirty Boots, performing nationally and internationally. Ms. Lastimosa theater works include, Tree City Legends by Campo Santos, directed by Marc Bamuthi Joseph; musical direction and performance in Holy Crime, directed by Sean San José and ACT’s Mark Rucker; and composed for Kularts’ Incarcerated 6×9, directed by Alleluia Panis. 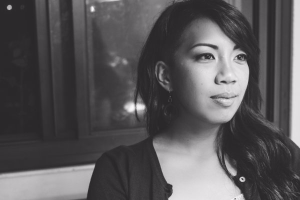 Rachel serves as the Arts & Culture Administrator for SOMA Pilipinas – SF Cultural Heritage District and is an organizer with Salupongan International, defending indigenous peoples’ rights in the Philippines. Mx. Beatrice Thomas is a queer multidisciplinary social practice artist/performer, director, arts consultant and coach, who comes from a family lineage of pastors, performers, doctors and healers. From absurdist cabarets to social justice drag performance, Thomas weaves the experiences of queers and people of color into magical realities with strong critical commentary, comedic satire and media rich productions. Ms. Thomas reveals, revises and constructs alternate realities. 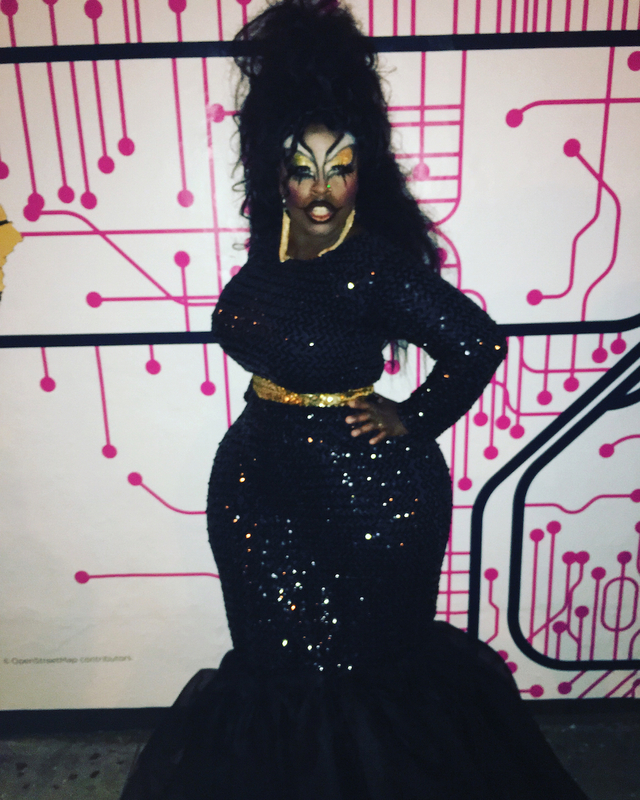 She uses the artifice of drag to inhabit her alter ego, Black Benatar, an exaggerated black femme creature that challenges misogyny, blackness, whiteness, oppression & convention. She is a featured drag queen for RADAR Productions “Drag Queen Story Hour” a program that brings drag queens to read stories at public libraries. 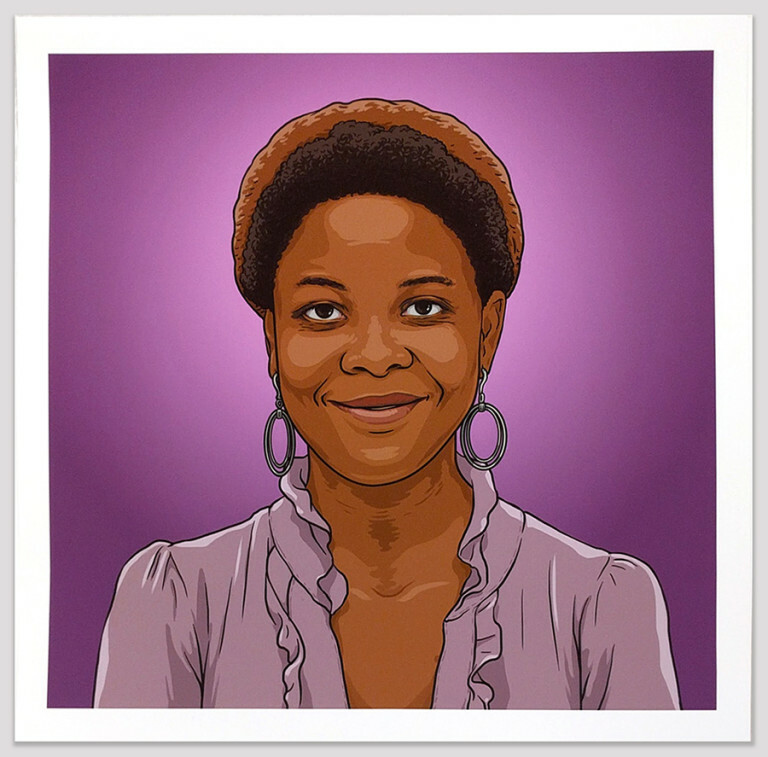 Her work has graced the stages of the deYoung Museum, CounterPulse, Academy of Science, SomArts Cultural Center, and has shown in galleries across the United States. As a consultant, Thomas works as a capacity builder for local artists and organizations and as an national advocate for equity and the inclusion of queer and POC arts on national stages. The majority of data collection by large-scale institutions standardizes data in a way that oftentimes erases the impact of organizations rooted communities or color and historically marginalized communities. 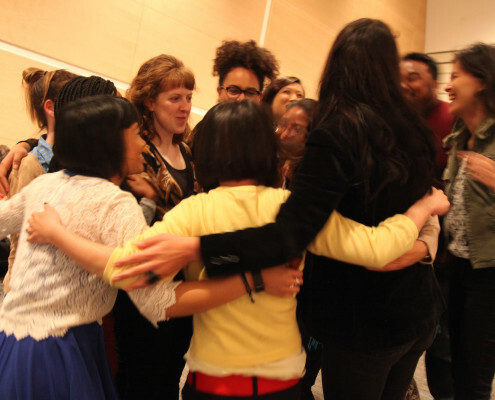 In this 3-hour pre-conference session, join members of the Culturally-Specific Projects Circle and the Bay Area Cultural Data Network as we share our findings and best practices for collecting, analyzing, and presenting data that reflects the complex, diverse, and intersectional communities we serve. Part 2: Cultural Data Case Studies + Start to build an audience engagement survey! Communally re-define what the word and the responsibilities would be in a more equitable industry. How do we legitimize our work? What resources are available for a variety of paths? 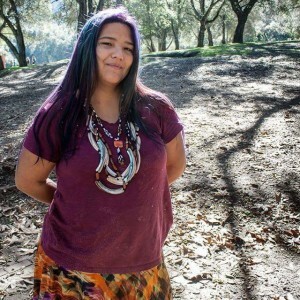 This workshop on contemporary activations of indigenous and ancestral knowledge, facilitated by Angela Mictlanxochitl Anderson Guerrero, is an opportunity for art workers to develop skills and approaches to working with artist, communities, and projects intersecting with spiritual and ancestral traditions. 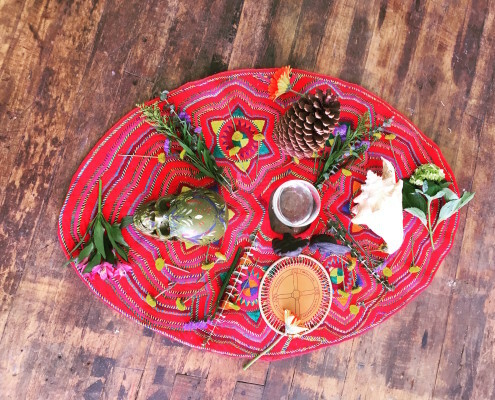 The workshop is an opportunity for art workers to develop skills and approaches to working with artist, communities, and projects intersecting with spiritual and ancestral traditions, from the integration of re-claimed ritual practices to working historical archives tainted by dominant narratives. As the tides of neoliberalism becomes more choppy throughout the planet, cracks are being formed ushering a growing interests and reclaiming of ancestral knowledge, and practices through a contemporary lens. 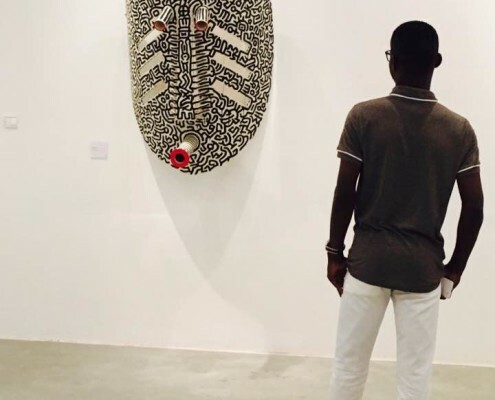 Although many celebrate these activations, they also raise questions of the white gaze, cultural appropriation, and complicity with business as usual in the arts industrial complex. This introductory workshop is an opportunity to pull at the strings of the very personal spiritual callings in the arts embedded in complicated social, economic, and political precarities. and the contradictions, challenges, and possibilities for art workers collaborating with not only artist, but also with land, sacred objects, memories, subjugated histories, and knowledge holders. Join us for a casual and festive afternoon to celebrate the work of our incredible fellows and alumni with food, drink, performance, and lots of play! EAP Champion! > $100 > Make our day and get some glitter! EAP Team Mate > $50 > We couldn’t play without you! EAP Pep Quad > $20 > Cheering each other on is most of the fun!